The man who takes care with proportion in his suits and dress shirts always looks good. Unfortunately, this point is woefully under appreciated today; it’s rare to find a man whose style is understated elegance, the kind of man who people feel is always well dressed without knowing why. 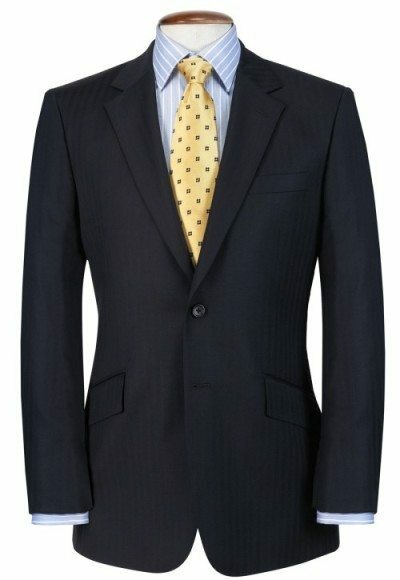 Most men’s suits and dress shirts sold in stores are available in only a few standard sizes and are constructed according to the fashion of their day. It’s true that with proper tailoring most men can get a reasonable fit out of a retail suit or other garment, but with a suit especially there are so many opportunities for customization that one misses out on a lot when buying off the rack. In retail, crucial details like gorge height, closure, button stance, and lapel width are dictated by the whims of fashion rather than the needs of a wearer’s unique body. Most men’s suit and dress shirts are cut for a hypothetical model, a 1 in 100 man who doesn’t exist. Knowing this, it’s no surprise that most menswear does not flatter those of us who are taller, shorter, thinner, or heavier than the model that brand was cut for. Most of us would do far better having our suit jackets and trousers adjusted, as that the right cuts and proportions can greatly enhance any man’s appearance. The great dressers of our century knew this. Douglas Fairbanks had his suit jackets’ shoulders built out to offset his large head, while Gary Cooper had his suit’s lapels cut to end in a low gorge, breaking up his height. Just look at modern day examples such as George Clooney and Tom Brady; these men wear suits, dress shirts, and sport jackets that highlight their body’s natural features and strengths. While it is true that certain bodies clash with certain articles of clothing, by no means does one’s body type confine him to a particular style. A critical step in dressing well is discovering those clothing proportions that work for your body and then insisting on such proportions in every item you buy. 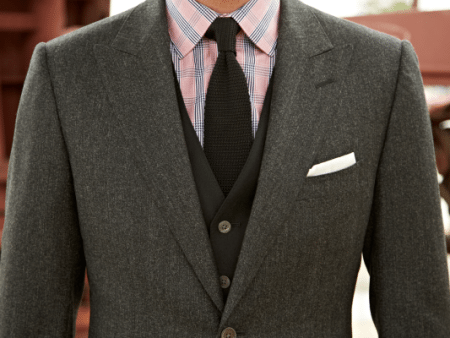 The gorge of a jacket is the point where the lapels meet the collar, forming a notch or extending to a peak. Shorter men look best with a high jacket gorge configuration, while a lower jacket gorge suits the tall man best. The proportions of a man’s jacket are essential in yielding a natural, attractive visage. If one’s head be especially wide, wider shoulders will frame it to great success. Narrower faces do better with sloping shoulders. Whatever your size, your jacket’s length should be such that it ends at your thumb’s knuckle when you stand with arms relaxed at your sides, and the ends of your sleeves should line up with the ends of your arms, where your hands begin. However, if you have extremely long arms a better guide is to ensure the suit jacket just covers the bottom curve of your backside. 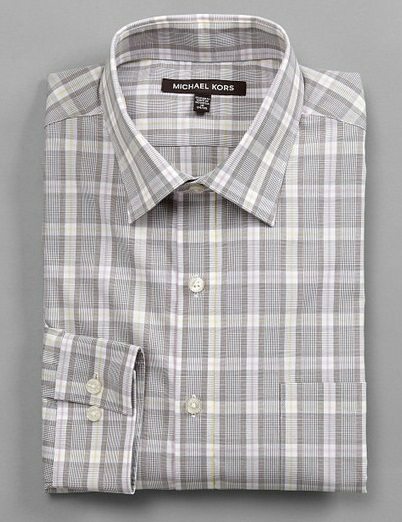 The dress shirt collar size and shape should be chosen based off of the facial structure of the man wearing it. Certain shirt collars types, such as point collars, tend to elongate the face; not a good choice for the man who already has a narrow facial structure. Instead the narrow faced man should look into spread shirt collars that better balance his appearance. Another point to remember is that collar points should ideally be covered by the jacket’s lapels when the latter is buttoned; this can go a long way in dictating which sorts of collars attire different bodies best. The dress shirt collar should extend half an inch above the jacket collar, and a quarter-inch to a half-inch of shirt cuff should peek out from the jacket’s sleeves. Of course all of these proportion rules are flexible for the man who understands them. 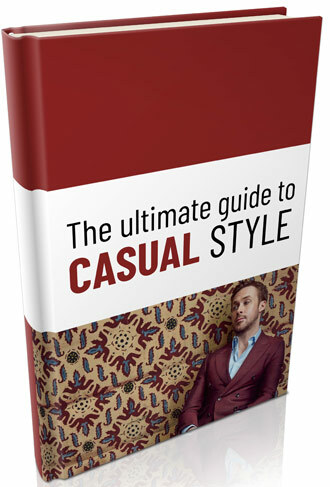 In fact most trends in men’s clothing consist of the breaking of these established rules. Designers bombard the public with images of brutally attractive models striking enviable poses, clad in their latest offerings. 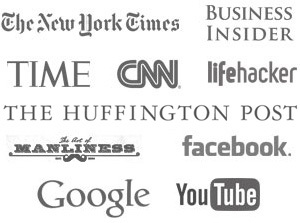 By objective standards, these may be too loose or too tight, excessively short or top-heavy, or otherwise unbalanced. Models have jobs because they look good in anything; most of us are not so lucky. Trendy designer clothes only look good on us because they evoke the beautiful people on billboards and magazine spreads. When tastes change, in a few years or a single season, those who paid full price for designer wares at the height of their fleeting glory are left with expensive clothes that, they must now admit, look slightly ridiculous. How much wiser is the man who buys clothes that are right for him, and wears them confidently knowing his style transcends the pettiness of fashion.